Breathe deep and jump into the pit! Create a team post about your 'Race" with answers and evidence. Think creatively, in the way you collect the information and present your post. You can use any mode of transportation you wish, including airplanes, hot air balloons, helicopters, trucks, bicycles, taxicabs, cars, trains, buses, boats and by foot. Creativity, ingenuity and a willingness to 'give it a go!' is greatly encouraged and will be rewarded! Keep others informed, or send them down the garden path by using The Otago Race Twitter hashtag #otagocluster! Look out for extra points that can be earned at pit stops will be tweeted out with the hash tag #otagocluster! How to create your post: We will assign a team member with authoring rights to do this. Ensure you have compiled all your answers, evidence and any 'extra points stuff' into a Google doc before creating your post. Work with your facilitator on this if you need to. We will share, comment and 'judge' each others posts after lunch. 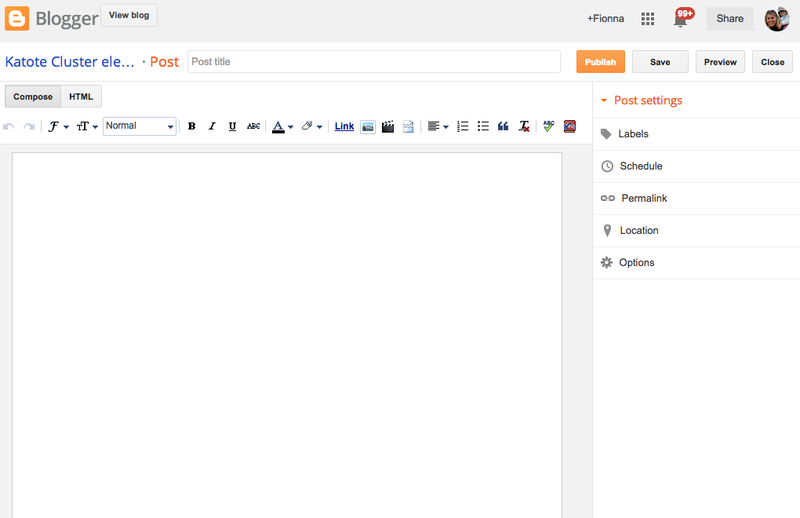 Select the 'Blogging' page to find out more about writing posts. Publish all answers and display evidence in some way in your blog post. You may need to consider creative and interesting ways to do this before you start the race. You may also need to regroup with your facilitator to create your post. Whose brain child was the Mosgiel sign and what is it made of? How many schools are in Mosgiel? Bonus question - Where was the first school in Mosgiel - photo? Bonus points - how many children attend schools in Mosgiel? Images of all the schools - creatively shared! What services does the war memorial commemorate? What two 'enterprises' are located at the Taieri Aero Club. What are the names of the two hills? What is the Māori name for the Silverstream. Where does it flow from, to?